August B. Pust, during his more than thirty-year career in U.S. public service, not only coordinated multicultural relations, but also participated, organized, and led various trade, humanitarian, educational, cultural, and goodwill missions abroad. His specialty was focused on the development of programs and initiatives in the non-governmental sector to foster civil societies, democratic systems, especially on training and exchange programs for young professionals. His efforts led to better global understanding and development of friendly people-to-people relationships, especially among international universities. As a governmental employee he coordinated global partnerships among municipal, regional, and state officials. He was a major part in the development of a new concept of American Citizens Diplomacy to the highest level, which became an example for others to follow. For his efforts he received many commendations and was named in 2002 “Citizen Diplomat” by the National Council for International Visitors. He advocated and presented several key addresses at international forums, multicultural summits, and universities. Mr. Pust received in 1999 the most prestigious degree of Doctor Honoris Causa, an honorary doctorate from Valachia University, Romania. Presently he is serving on the Board of Trustees of the Council of International Programs USA and in several organizations dealing with the research and preservation of the history of American immigrants. Born 1938 in Ljubljana, the capital city of Slovenia. Arrived in New York City Harbor, USA, as student/visitor on December 1957, and in 1970 become USA Citizen. Married for over 44 years to wife Gloria and has one daughter, Adriana. Mr. Pust served on the U.S. 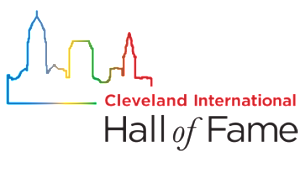 Bicentennial Projects Committee and was a founding member of the Greater Cleveland Ethnographic Museum, serving as its first chairman. In 1990 he testified on International Relations before US Congress. 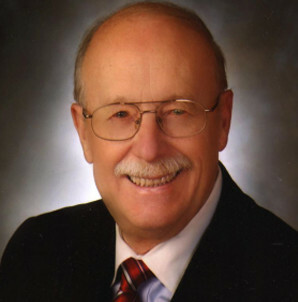 Mr. Pust currently serves as a board member for organizations such as the Council of International Programs (CIP) USA, American Nationalities Movement, and is a past member of International Services Center, and the United Nations Association, Ohio, and also become ‘International Fellow’. Mr. Pust was involved in a special project for bringing the 2004 International Children’s Games to USA – which attracted to Cleveland over 3000 young athletes from 55 countries and was supported by over 100 multicultural groups. He is currently serving as a volunteer and adviser to various universities and international/multiethnic groups on projects of building bridges of understanding, respect and knowledge of internationalism and preservation of immigrant contributions. Mr. Pust is the recipient of many citations and awards in recognition of his work. Included among the honors is the “Citizen Diplomat” award from the National Council for International Visitors, the “Honorary Order of the Freedom Medal” from the President of the Republic of Slovenia, the “Ohio Distinguished Service Medal” and the prestigious “Freedom Medal” awarded by the American Nationalities Movement for his promotion of new democracies. Mr. Pust is also a recipient of the “Living the Legacy” award given in memory of Dr. Martin Luther King Jr. for his commitment to racial and cultural diversity and to Universal Human Rights. In May of 2008 he received at a gala celebration in the New York City the Ellis Island Medal of Honor, one of the most prestigious awards in USA. Mr. Pust is active in many various nationalities organizations including Slovenian – American community affairs. He has been honored for his contributions as “Slovenian Man of the Year 2008”. He is a founding member, and served on the Boards of Slovenian American Heritage Foundation, Slovenian American National Art Guild, and Slovenian Museum and Archives . For the preservation of his heritage he created and published artistic postcards and U.S. postage stamps on Slovenian traditions. He is also well known international artist/exhibitor. He is listed in Marquis Who’s Who in America in 21st Century.